It has been a tough and at times scary year for parental rights, but as 2017 winds down, we have a lot to celebrate, too, including this exciting news: the Parental Rights Amendment has been introduced in both houses of Congress! We are ending the year on a momentous note, and your continued support will help us keep our momentum going to gain new ground in our fight to protect children by empowering families. Sadly, complete victory cannot come soon enough. 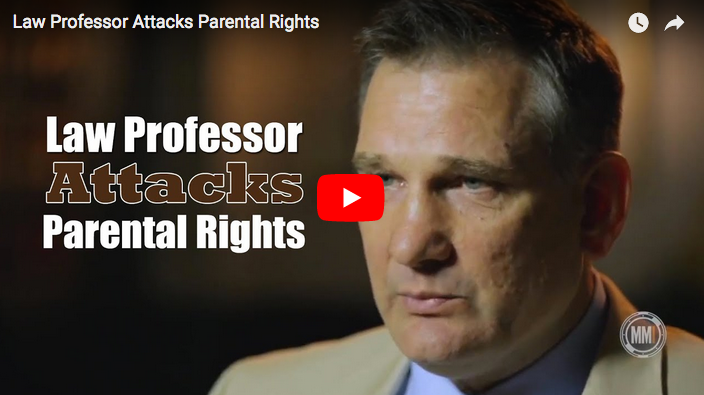 Earlier this year, we were reminded of why we desperately need the Parental Rights Amendment right now, and just this month a new story has broken to reemphasize that fact. Parental rights are under attack from foreign governments and American elites who think they know best, and until now, there has been nothing standing in their way. In international news, the tragic story of Charlie Gard showed us what can happen when parents do not have legal protection from government interference. 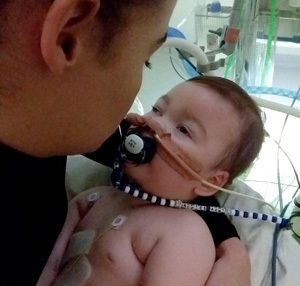 When only a few months old, British baby Charlie was diagnosed with an extremely rare genetic disorder that affected his breathing capabilities and brain functions. His doctors were pessimistic, but his parents wanted a second opinion. An experimental treatment in the U.S. showed promise for greatly extending the life of children like Charlie. But the courts wouldn’t let the parents intervene. Though they raised more than $1.7 million in private funds, the 11-month-old’s mom and dad were denied the right to get a second opinion, to secure experimental treatment, or even to take their son home to die. Charlie’s parents simply wanted to do what they thought was best for their baby boy. But the powers-that-be, the European courts and British government, said no. In Europe, the government thinks they—not parents—know what’s best for children. Now, poor baby Alfie and his parents are in the midst of a repeat of that very same struggle in Great Britain. Unlike Charlie Gard, however, Alfie is not terminally ill. In fact, he has no diagnosis at all. Doctors don’t know what is wrong with him, but they are ready to pull the plug, even over the objections of Alfie’s loving parents! For the parents, this is Charlie Gard all over again! Picture from #ALFIESARMY Twitter page; used with permission. Right now, there’s nothing in the Constitution to specifically prevent a similar, heartbreaking story from happening right here in America, even in your own community. It’s too late to save Charlie and there’s little that American law can do for Alfie, but the Parental Rights Amendment would protect your children and mine from the dire consequences that come from an overreaching government insistent on denying our parental rights. That is why we must act now. 2017 also showed us that this radical ideology, which says government knows better than parents, is already here in the United States. It’s being taught in our most prestigious universities by the likes of Professor James Dwyer. Dwyer is a distinguished family law professor who has been praised by his colleagues for his work. He has even received numerous awards as an “expert” in his field. But if what he teaches is adopted by the hundreds of students who sit in his classroom, there will be disastrous consequences. Dwyer thinks that the only reason that you or I get to be parents is because the “State” allows us to! This would be shocking enough if Dwyer were the only one who believed in this dangerous ideology. But he’s not alone. His poisonous views are respected and shared by many American jurists and academics. His radical way of thinking is being embraced by the next generation of judges who may very well decide the fate of our families in the near future. These elites believe they know better than families, but the truth is that the spread of this toxic ideology will produce catastrophic damage to parents and children nationwide. What happened to Charlie Gard and is happening to Alfie, plus these public statements by Professor Dwyer, show that the need to pass a Parental Rights Amendment has never been greater. Such looming threats to families and children were not always a concern, though. Prior to 2000, parents enjoyed constitutional protection from the government and other outside entities. Then, years of court precedent and assumptions were changed by Troxel v. Granville. The Supreme Court’s decision erased the traditional high level of constitutional protection for fundamental parental rights, leaving families vulnerable to unwarranted government interference. Ever since, judges have had leeway to let the State override the rights of parents to raise their children, of course at the discretion of the court. The ideas of those like Dwyer who hold that government knows best—the belief that leaves Alfie’s parents on the outside looking in—are getting free rein in too many U.S. courts. Every instance makes the future of parental rights seem grim. Foreign governments that let children die on their watch, lauded American professors who believe in the State’s absolute power over parents—these are bleak moments in the fight for parental rights. 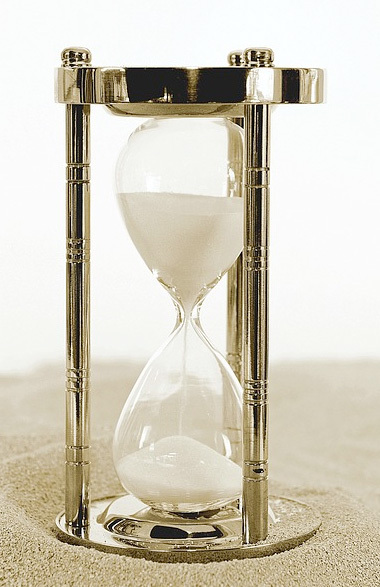 Closer Than Ever to Winning – But Time Is Short! Yet, the truth is we are closer than ever to winning this fight, to passing the Parental Rights Amendment once and for all. Because of your faithful support, we’ve never been in a better position to accomplish our mission. But we still need you to reach the finish line. This summer, Sen. Lindsey Graham introduced the Amendment as Senate Joint Resolution 48, alongside Sen. Blunt (R-MO), Sen. Grassley (R-IA), Sen. Isakson (R-GA), Sen. Risch (R-ID), and Sen. Rubio (R-FL). Then just before Thanksgiving, Rep. Randy Hultgren introduced House Joint Resolution 121. He was joined by 15 original cosponsors at the time of introduction, and more representatives are expressing support every day. The Amendment is now ready to go in both chambers of Congress, but we have also reached the halfway point of this session; time is short and the clock is ticking! Because of your willingness to stand with us, we have already come so far. This year, we have seen interest for the Amendment grow on both sides of the aisle. Our online presence has increased and our strategic plans have evolved to reach as many people as possible. But the toughest battle is what comes next. In order to pass through the House, the Amendment will need two-thirds of the Representatives to vote in favor of it. In order to accomplish this, we need your help to increase our grassroots network and ramp up our lobbying efforts. Will you give your very best gift today to help us secure your parental rights right now? We’ve come a long way, but there’s more work to be done to accomplish our mission of protecting children by empowering parents. I hope that you will continue to stand with us. Thank you again for all that you do! I hope you have had a very merry Christmas and happy holiday season! P.S. ParentalRights.org truly made tremendous strides over the past year. Thanks to your dedication, I believe we’re closer than ever to passing the Parental Rights Amendment. As the end of the year rapidly approaches, I hope that I can count on your continued support. Please consider giving your most generous gift to make a vital difference towards protecting children by empowering parents. P.P.S. For donors to both organizations: As you plan your giving, please be aware that, with nearly all our resources focused on lobbying Congress for the Parental Rights Amendment, we will not be sending a year-end letter for the Parental Rights Foundation this year.